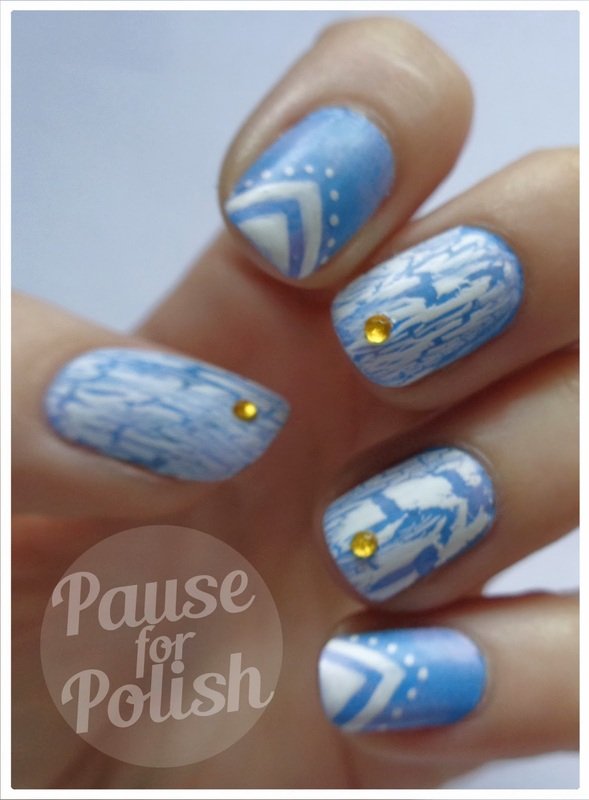 Pause For Polish: Pastel Crackle Nails & A Blog Makeover! So if you haven't noticed already, i've made a few changes to the blog! It's a little more to my taste now, but i still have a few little tweaks to make here and there. I've added links to the left for my Facebook page, Pinterest and Instagram links. My Instagram account is mainly devoted to my nails but you'll find a few snaps of my life included in there as well! I've also added a Popular Posts feature to the right hand side. I'm sure i'll end up changing it again sometime in the future but for now i'm happy.. I'd love to know what you think! Now on to the nails. 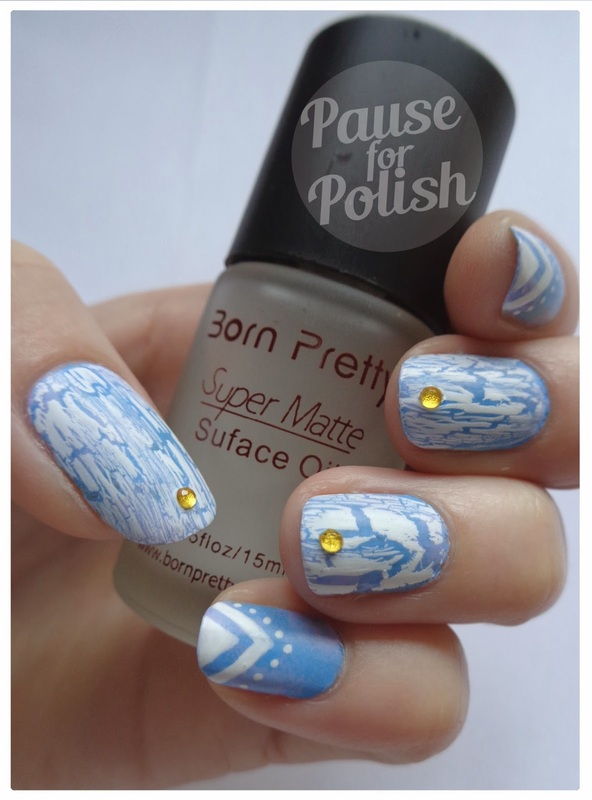 After seeing this beautiful manicure by Nail Polish Wars it really inspired me to use a crackle polish, something i've only ever done once before! I started with a blue base and sponged on a lilac and light blue polish over the top. I then used a white crackle polish for the middle and ring finger, then finished them with a little gold stud. I free handed the pattern on my index and pinkie with a nail pen, and topped it all off with a matte top coat! I've really been enjoying darker manicures at the moment so this was a nice change for me! Hopefully you've noticed the changes to my photos now? 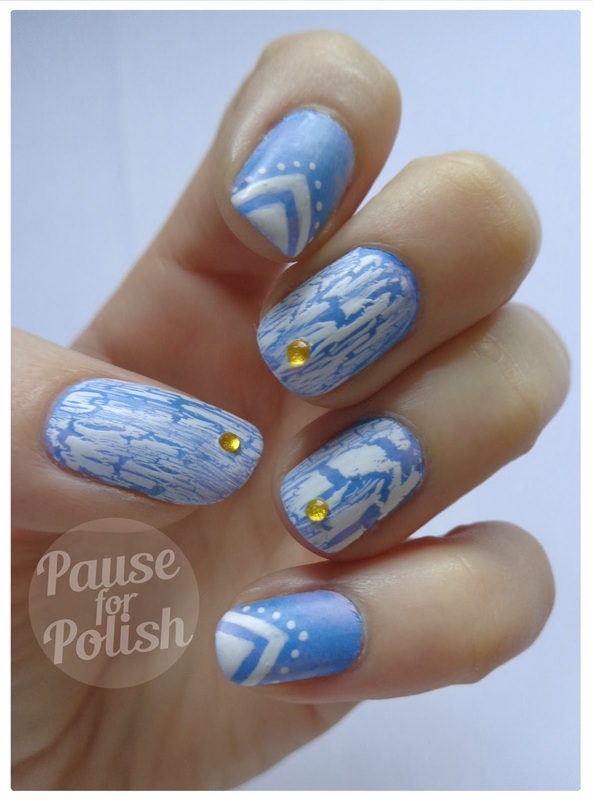 I'm trialing the softer corners and i've also changed my watermark which has made my life so much easier.. no more typing out Pause For Polish on every photo! I'd love to know your views on what i've posted today, whether it's on the blog/photo changes or the mani! 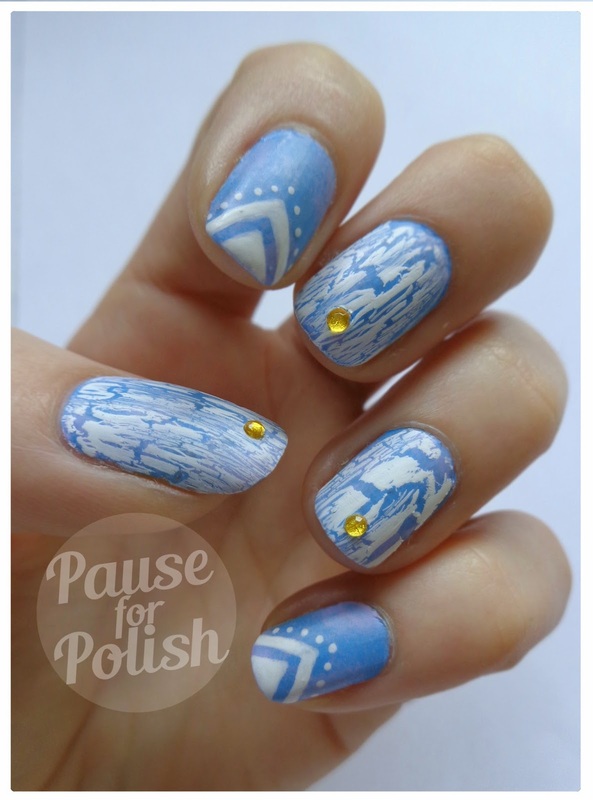 Fab design both nails and blog, good use of crackle too - I am still in love with the effect but no one else seems to be. Especially like the banner as I am trying to make one at the moment!